The Alpha by Tony Owen Partners is due to start construction in July. 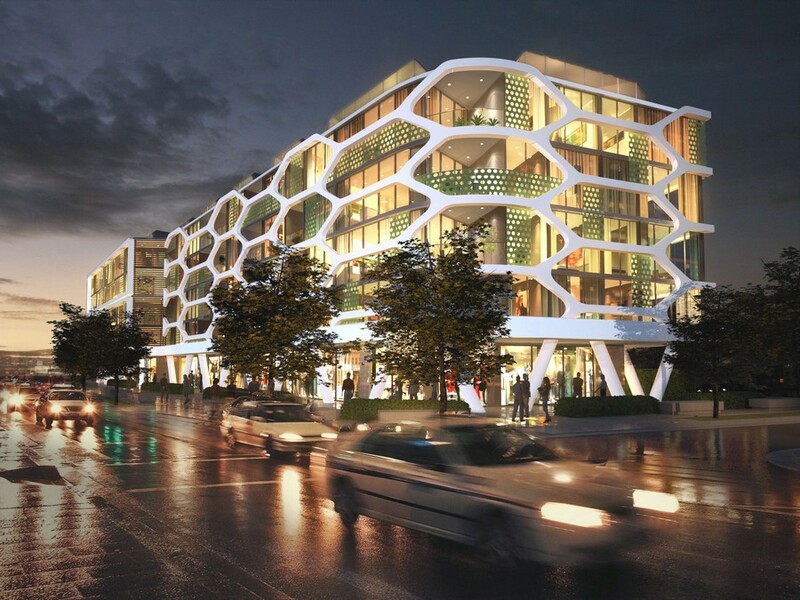 Located in Lewisham on the fringe of the Sydney city centre, the Alpha will form the cornerstone of the new McGill design precinct. The McGill master plan, prepared by Tony Owen Partners, is envisaged as a hip mixed use designer precinct with a collection of contemporary buildings and public open spaces forming an exciting new community. The vision for the area combines the heritage values and rich history of Lewisham with modern ecologically sustainable development. The creation of a park through Hudson Street will provide accessibility to the new Light Rail station, due to commence operation in 2014. Alpha’s unique design represents the future character of urban architecture in Sydney, with a distinctive design and style which sets it apart from other developments. Its hexagonal pod-like façade creates an environmental screen which controls light and frames the views, allowing maximum exposure as well as privacy. The seven storey building encompasses a selection of one bedroom and two bedroom apartments and retail/commercial spaces. The top levels contain two and three bedroom two storey ‘skyhomes’ with hexagonal metal pods leading onto expansive roof terraces with panoramic views towards the city and surrounding parklands. Almost all apartments come with Alpha’s bold lobbies incorporate profiled concrete walls and profiled coloured glass. The ground floor contains retail and commercial spaces, while each level of the building has a unique two-storey communal lounge area to encourage interaction between residents. Alpha’s unique interiors match the progressive concepts of the architecture. The ‘Scandia’ uses different timbers to create a fresh, modern feel with bright finishes, open kitchens and polished floorboards. ‘Aalto’ has bold finishes including coloured glass, interesting lighting features, bright kitchens and polished concrete floor tiles. The skyhomes have two storey living areas, loft bedrooms and dramatic stair voids, with the upper level fronting onto their private rooftop garden terraces.